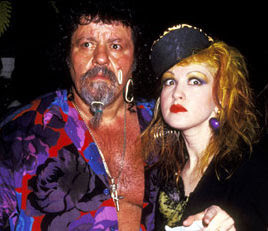 Growing up in the 80s, you knew exactly who Captain Lou Albano was. You either knew him as a goofy wrestling manager from the WWF or as Cyndi Lauper's dad in her video for "Girls Just Wanna Have Fun". Lou died Wednesday of natural causes in his home at the age of 76. Not something many modern wrestlers can claim. Lou's wrestling career began in 1953 and only held a couple of tagteam titles in the early days under the mob riddled moniker of "The Scicilians" but he really made his mark and rose to prominance in the "sport" when he managed some well known wrestlers from the 80s including The Russian Bear - Ivan Kolaff, The British Bulldogs, Don Muraco, The Wild Samoans and Greg "The Hammer" Valentine to name a few. He became forever etched in mainstream pop culture when he appeared in Cyndi Lauper's video as her rather disgruntled father. That ushered in the era of "Rock and Wrestling" which was responsible for making the WWF a household name and also responsible for some of the most hideous music and videos of the era............ it hurts me to even remember that. I'm going to need a moment. 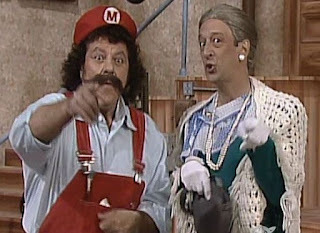 Regardless of what you thought of him, his antics, his rubber band facial piercings (still trying to figure that one out), his wild outfits or his acting skills which included the hit TV show Super Mario Brothers, he did leave his mark in pop culture and is survived by his wife, 4 kids, and 14 grandchildren.